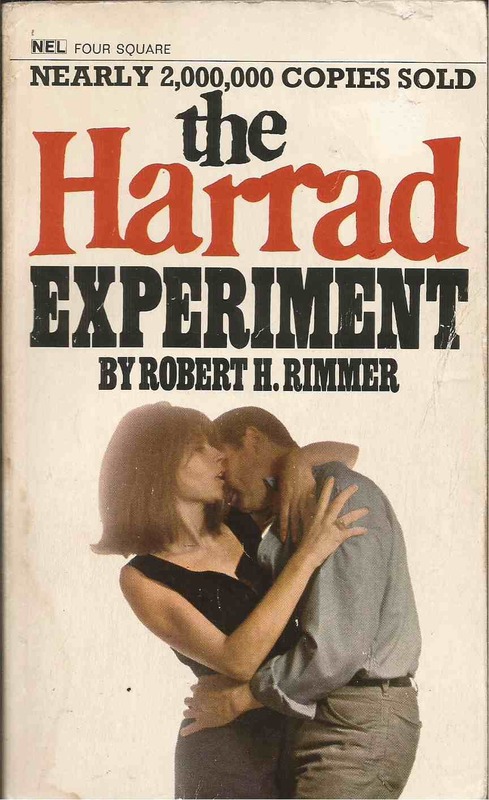 Back cover blurb: What is happening at Harrad? A computer picked them as partners for free love. 400 young men and women who live, learn and love together at Harrad University - the college of sexual freedom. Quick flick reveals: Not strictly a lost book - too many people remember it and Kevin's sister in The Wonder Years was once spotted reading it - but it's interesting to see that a novel that sold, as the front cover says, 'nearly' 2,000,000 copies, helped define an era, and was adapted as a big Hollywood film featuring one of the relatively few post-Marnie appearances of Tippi Hedren after Hitchcock sabotaged her career following her laughing at his old man's shrivelled willy (or something), is now only available as an ebook. 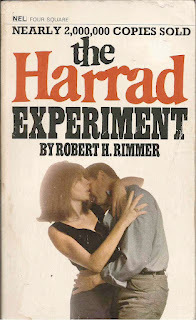 If The Harrad Experiment was an album, it would be remastered and reissued every five years, most lately as a three-disk deluxe edition in an ornate box made of reinforced velvet. Book publishing, however, recycles its old stock with a lot less vigour. Writing a novel, even one people actually buy, is not a good way to secure immortality. The book pretty much seems to consist of some students discussing foreign policy and orgasms, which is exactly what university life should consist of.